Nabiac Automotive and Motorcycle Swap Meet - Annual Event. 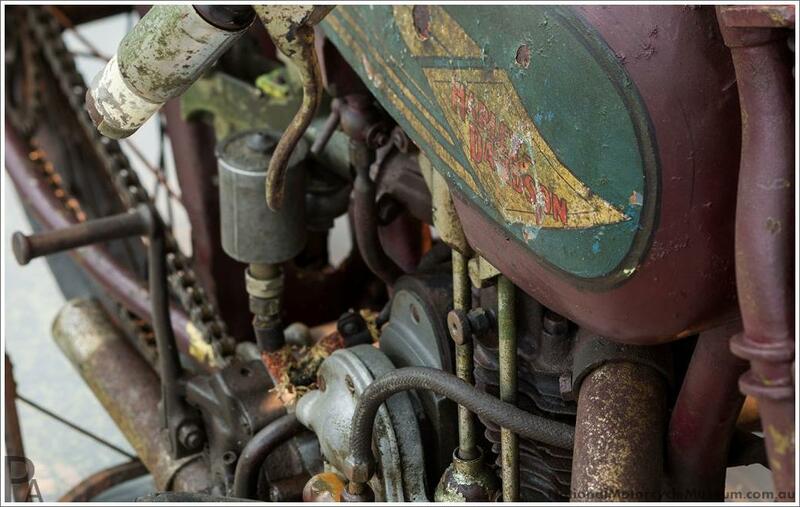 An unrestored 1926 Harley Davidson 350cc "Peashooter" board racer. Road going versions were available with either side valve or OHV engines. The "S" racers used tuned OHV motors and weighed only 98kg and had a reputed top speed of 160kph.